What do you think of when you think of Dracula? Bela Lugosi playing the part in black and white? The Bram Stoker story and its movie incarnation? George Hamilton and his eternal tan in Love Bites? We’ve all got our preconceived notions and longstanding associations with the name and the legend. 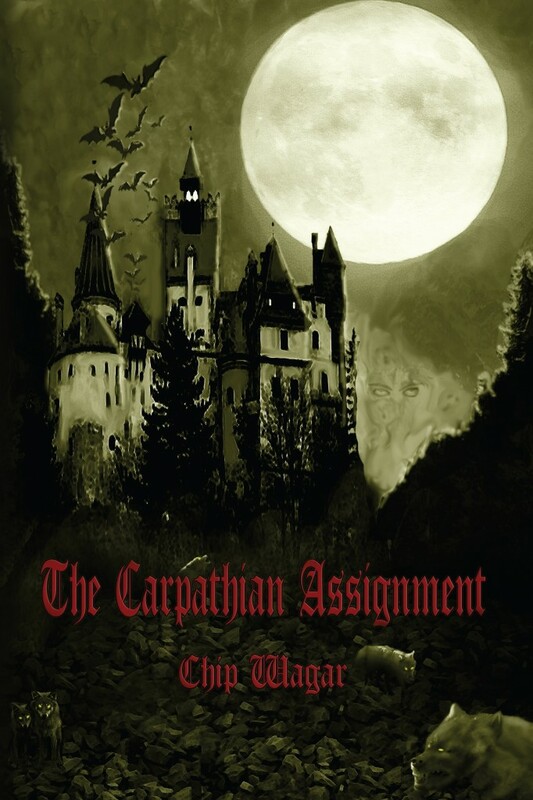 The Carpathian Assignment by Chip Wagar takes the story and gives it a different twist. Kálváry Istvan has served his country long and well in His Majesty’s Royal Cavalry. He and his wife Julia had dreamed of retiring to the country, but that dream was shattered by her death. Seeking a purpose for his days, Kálváry accepts the post of police chief in the city of Bistritz, in Transylvania. Upon his arrival, he learns of the possibility that a serial killer is stalking the region, and apparently has been for a very long time – longer than any one man could live. Kálváry takes a personal interest in the case when a beautiful baroness tells him that two of the people who disappeared are her daughter, Ema, and her daughter’s husband and Kálváry’s predecessor as chief of police, Novotny Janos. He promises the baroness that he will look into her daughter’s case personally. As the investigation begins, the estate of the Count Dracula comes to Kálváry’s attention. The castle is apparently deserted, but a tribe of Roma is settled on the estate – unusual in that Roma are usually a nomadic people, but this particular group has been settled there for a very long time. They perform tasks for their Master, someone who is to be feared and whose wishes are not to be disobeyed. The investigation starts out with logic and reason, even utilizing that most cutting-edge of tools, psychoanalysis, to try to uncover the identity of what must be a serial killer. As it progresses, though, whispers of something darker and far more ancient start to swirl. Can the legend of Dracula be true? And if it is, how can mere human police stop a monster far more powerful than any flesh and blood killer? Familiar figures in Dracula lore are woven into the story, like Van Helsing, Mina Murray, and Jonathan Harker, but we see new characters as well, both in the police force and in the Roma tribe living on the Dracula estate. This brings a whole new depth to a story I thought I was familiar with. I’m a fan of crime novels, and the search for the killer was very well done, very engaging. I was biting my nails, waiting to see what was going to happen next. Both Kálváry and his closest colleague, Gábor Kasza, are very believable in their roles, and I would have loved to sit down and have coffee and discuss the case with them. So. Do they catch the monster? How do they do it? I’m not going to tell you that here. That’s Mr. Wagar’s job, and he does it ably in The Carpathian Assignment. Go buy yourself a copy of the book on Amazon.com and see what happens. You’ll be glad you did. Lisa Henson lives in southeast Louisiana with her husband and two boys. Her car often looks like lives in it, she thrives on chocolate and strong coffee, and she loves her Baylor Bears and New Orleans Saints. She reads pretty much anything that sits still, but prefers mystery, sci-fi, and fantasy.